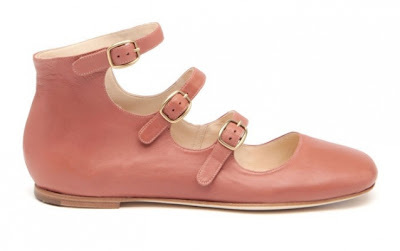 Strap dolly ballet flat shoes. 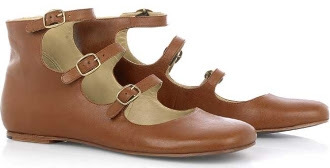 Thin and thick straps climb up above the ankle. For a tremendously chic effect. Tantissime cinghiette per le neo flat, che per l'occasione si trasformano nelle classiche scarpette alla bebè. Sottili e fitte, si arrampicano fin sopra la caviglia. Grazie per il commento sul mio blog. Io ti seguivo già.. blog davvero carino. These are so cute and look very comfortable as well...i really wouldn't mind one in each colour, but that pink shade is the prettiest! Ah those shoes are awesome!! So cuuuute I love those ballerinas <3 !!! Thanks for your comment....Have a splendid weekend sweety! ideas and good taste, so I visit your blog often. I love those, especially the pink one! Vivo sui tacchi, ma queste le adoro. Le prime sono strepitose, aggressive, me le immagino già con un calzino in cachemire. Bacio. Love these! They remind me of Chloe several years back... I imagine my boyfriend would think I was trying to be a little girl if I came home in these but I guess we never really loose the 'little girl' inside us no matter how old we get! Love the second ones, i saw Alexa Chung with them in black! They're Just perfect for a daily outfit.